The Sony Cyber-shot RX100 VI features an 8.3x optical zoom, 24fps continuous shooting, 4K video, and a high-resolution electronic viewfinder. What's not to like about it? Well, the price is over £1000, but is the price justified? Find out in our review. 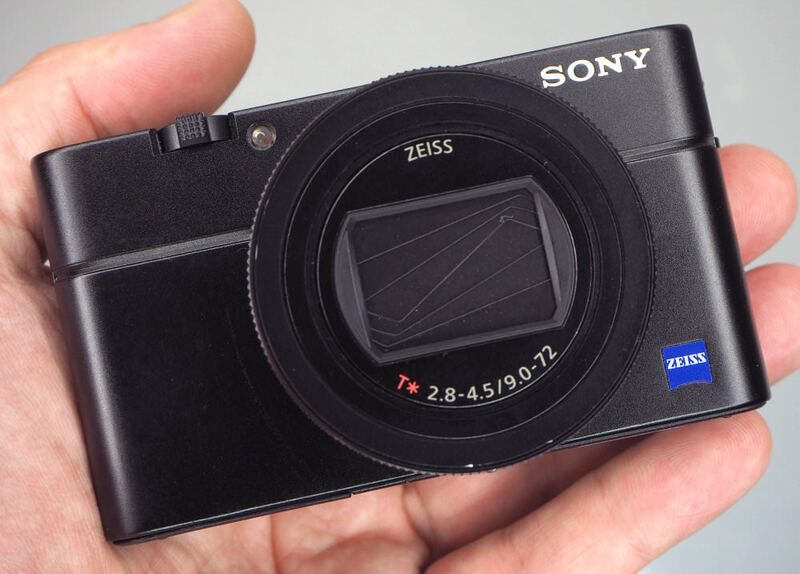 The Sony Cyber-shot RX100 VI offers an 8.3x optical zoom lens, in a compact camera that delivers both high-speed shooting, and high image quality. It's compact, perhaps too compact, and costs over £1000, so may not be to everyone's liking, but it's definitely a desirable camera. 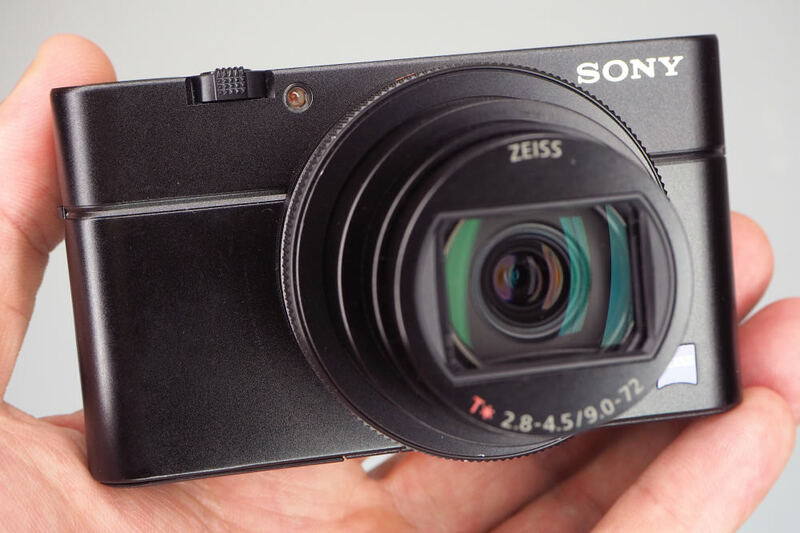 Sony has added the Cyber-shot RX100 VI to its compact camera line-up - find out how the 20-megapixel camera, with an 8.3x optical zoom lens performs, how it feels in the hand and what's new on this premium camera offering. 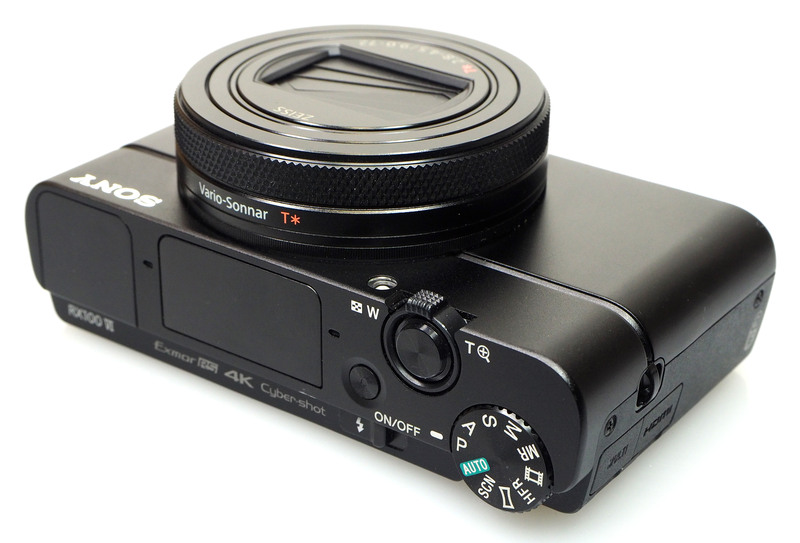 The new Sony Cyber-shot RX100 VI compact camera is available for around £1,150. The Cyber-shot RX100 VI features a rather impressive 8.3x ZEISS Vario Sonnar T* 24-200mm optical zoom lens, giving the user a focal length that goes from wide to telephoto in a very small body. The aperture range is also good ranging from f/2.8-4.5 and as the lens is ZEISS branded, it means it has to pass ZEISS quality control standards. As for the lens elements, there are 15 elements in 12 groups, with 8 aspherical elements, 4 advanced aspherical (AA) lenses to limit chromatic aberrations (CA), and 2 ED elements to limit CA at 200mm. The lens can also focus in 0.03 seconds which is currently the World's fastest AF performance, using Phase detection AF, and Direct Drive SSM. Optical Steady Shot Image Stabilisation will help you keep shots shake-free, when shooting in low-light or when using the optical zoom. 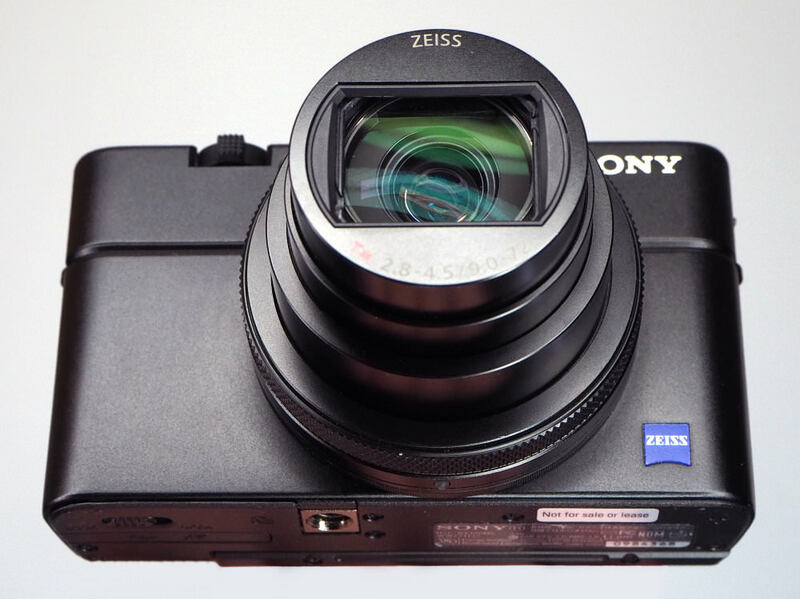 Inside the camera, you'll find a 20.1 MP 1.0-type (1inch) stacked Exmor RS BSI CMOS image sensor, with DRAM chip and an upgraded BIONZ X image processing system with a front-end LSI that maximises processing speed and optimises image quality, inherited from the Sony Alpha 9. There's also a Fast Hybrid AF system with 315-point phase-detection AF points built-in. The camera can shoot at 24fps AF/AE which should mean you don't miss any action. A first for the Cyber-shot range, the RX100 VI features a touchscreen as well as a touch shutter that can be activated by tapping the back LCD screen. 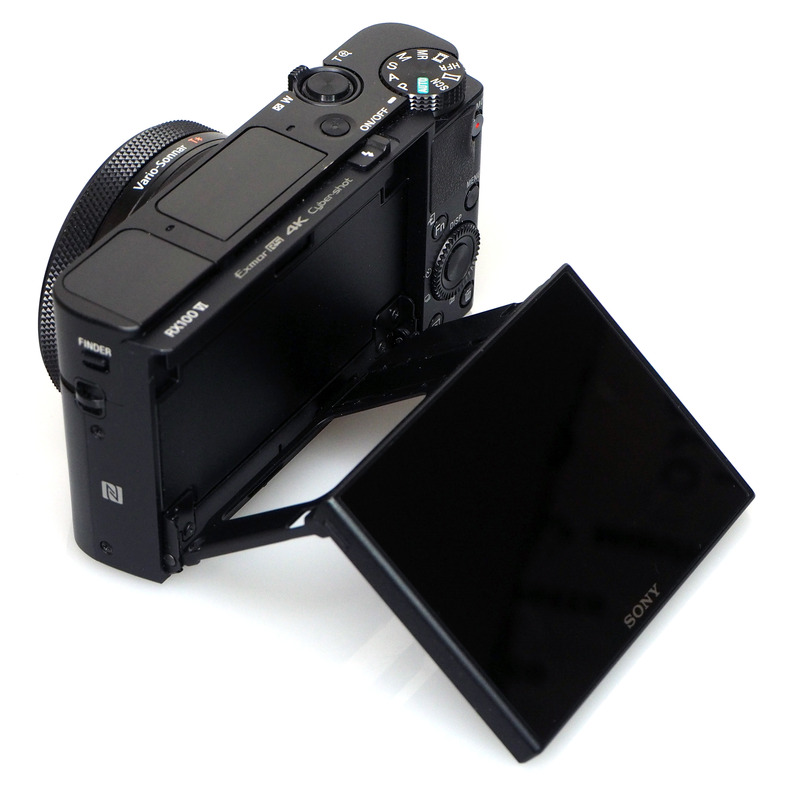 The screen can also be rotated 180 degrees upward or 90 degrees downward. Other interesting features include a zoom lever with customisable zoom speeds and a one-push electronic viewfinder (EVF). The EVF has a high resolution of 2.359m dots, and there is adjustable dioptre correction. The biggest demand from users of the RX100 range is improved battery life and with the RX100 V offering just 220 shots (previous models offered more), Sony say they have been listening to users and with the RX100 VI, have extended the battery life to 240 shots or even 310 shots when using the Monitor Auto OFF function. As for size and weight, the RX100 VI is the same width/height as the previous RX100 and weighs just over 300g (with battery and memory card) so it definitely won't weigh you down. It also fits well in the hand and is comfortable in use. Sony says the RX100 VI offers excellent image quality as well as improved colours and textures, particularly for skin, something we put to the test as we capture images with the camera. 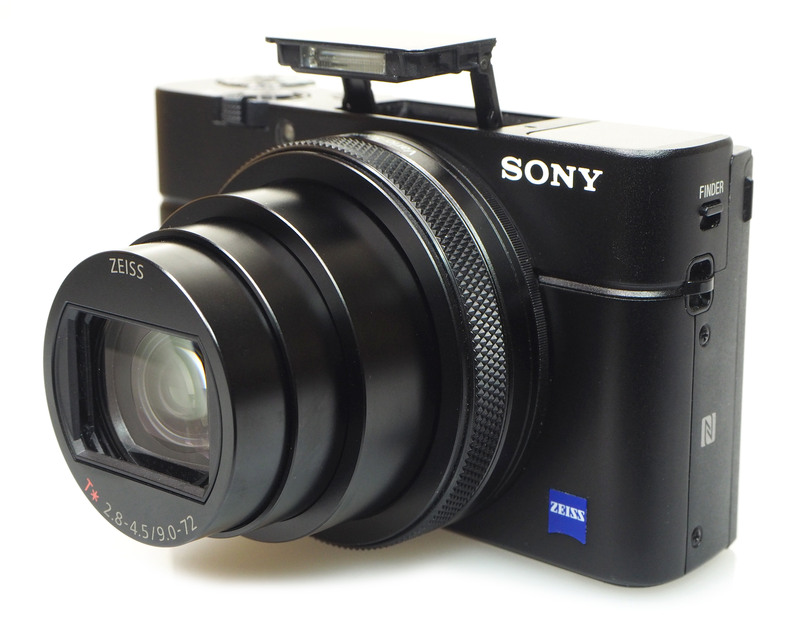 The design of the camera follows the RX100 design style, and as the saying goes “If it isn’t broken, don’t fix it." So if you're familiar with other RX100 cameras, the VI will be easy to use, however, the screen has now been updated so that it can be moved more freely, and it's possible to tilt it up 180 degrees (for selfies) and you can also tilt it down 90 degrees. The design lacks a front grip, and there will be people who want to add an extra grip to the front of the camera, such as a flipbac rubber grip, or you could add a leather case, which would also provide more grip. There is a control wheel surrounding the lens which this can be customised, so you could use it to set exposure compensation, the aperture, zoom or many other settings. You’ll find the mode dial on the right-hand side of the camera with P,A,S,M as well as Auto, Scene, Panoramic, HFR (High Frame Rate), Video, and memory recall. With a 3inch touchscreen, it’s easy to set the focus point. If you accidentally set this, you can easily cancel it with the middle button or by pressing an on-screen button. You can also turn the touch-screen off in the menus if you want. The camera doesn’t let you use the touchscreen to set menu options. It can also be used to zoom into photos in playback, and move around the image, however, you can’t use it to scroll through photos. The menus are colour coded and split into Photo1, Photo2 (with most of the Video settings), Network (Wi-Fi, Bluetooth etc), Playback and Setup. There’s also “My Menu” where you can add all of your favourite settings, and this could be a quicker way of accessing settings as it can take a long time to find the setting you’re looking for. For example, there are 12 different screens in the first set of menus (Photo1). The function button brings up a rear control panel on-screen, which can also be customised with your favourite options, and this can be a quicker way to change settings, without having to go into the menus. The pop-up electronic viewfinder (EVF) features a resolution of 2.36m dots and has dioptre correction on the top if needed. The EVF gives a clear, and detailed view and is particularly useful in bright sunlight. When shooting continuously, the EVF has minimal blackout. It can be used to switch the camera on and off, with the release button letting it pop-up switching the camera on automatically. Pressing the EVF down and into the camera will switch it off. This can be customised also. 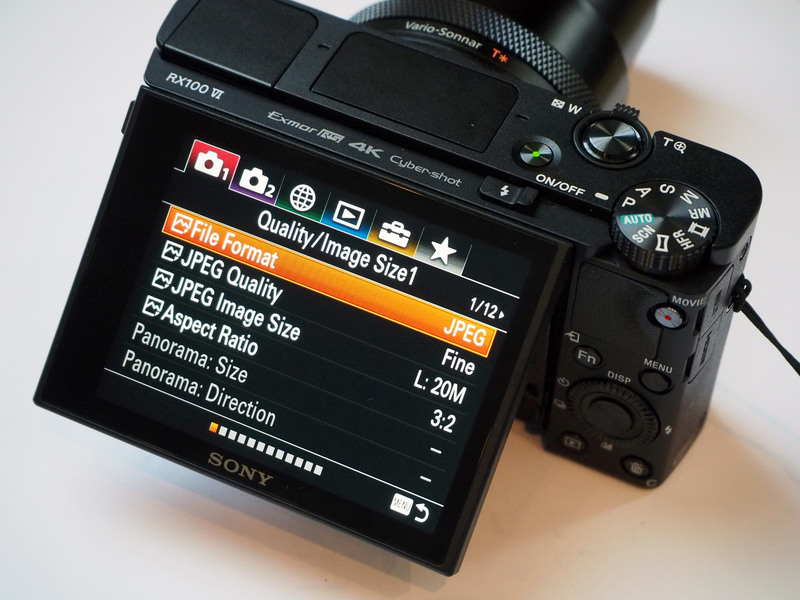 Battery life is rated at 240 shots on normal settings, however, this can be extended by switching on Auto monitor off to 2 seconds, and with this switched on Sony says you should be able to get 310 shots. We managed to take around 266 shots before the battery was exhausted; however, we only switched on the power saving setting(s) after taking over 100 photos. 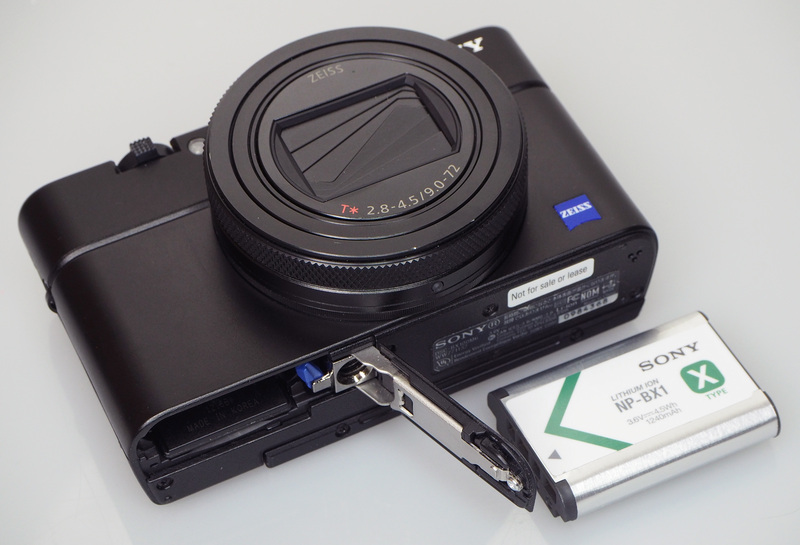 The camera uses the same NP-BX1 1240mAh battery as other RX100 models. £1150...????.......unbelievable ! !........I'll pass on this one !!. Weird artifacts at the front of the boats in the video. Stills look impressive though. There's no way I would part with that kind of money for a camera like that. [quote]Weird artifacts at the front of the boats in the video. Stills look impressive though. [/quote] Are you seeing reflections from the water onto the boats hull? Otherwise I couldn't spot what you were seeing. Quote:Weird artifacts at the front of the boats in the video. Stills look impressive though. Are you seeing reflections from the water onto the boats hull? Otherwise I couldn't spot what you were seeing. Looks just what I have been after. Unfortunately so far I have been unable to find reference to external flash control. I do hope this is available as it is a complete game breaker for me. They come with a posh leather case too and the civil servants can take them home too or abroad as well. That is progress, yes they have pretty amazing fast trains there too. [quote][quote][quote][quote]Weird artifacts at the front of the boats in the video. Stills look impressive though. [/quote] Are you seeing reflections from the water onto the boats hull? Otherwise I couldn't spot what you were seeing. [/quote] This [epzimg]100177_1528299621.jpg[/epzimg][/quote] Hi, if you click the YouTube link, and go to watch it there, make sure to select 4K playback. This is what I'm seeing: [epzimg]136701_1528354794.jpg[/epzimg][/quote] That looks better!